During the first day of Chinese New Year, my family and I went to Ritz-Carlton KL for their RM50++ per pax Chinese New Year Feast. I thought I had gotten myself a good deal as the price was very reasonable for a 8-course Chinese New Year dinner which include salmon yee sang. The dinner was held at Banquet Hall, Level 3 of Ritz-Carlton. We arrived at 7pm and was shown to our table. There were already the yee sang ingredients all laid out on a plate on our table. We noticed many people at the other tables had not started their dinner yet although we could see their tables also had the yee sang ingredients all laid out. After waiting for some time, we enquired if we could start our dinner. The lady in charge told us that we could start with the yee sang and once we finished with it, they would bring out the next dish. The yee sang was actually quite good, but nothing remarkable. Guess what? 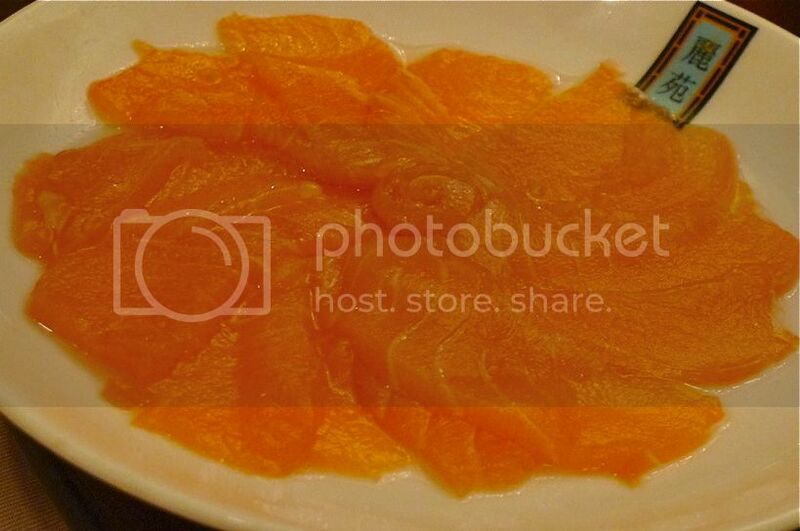 After we finished eating the yee sang, the waiter came to our table with a plate of raw salmon slices. 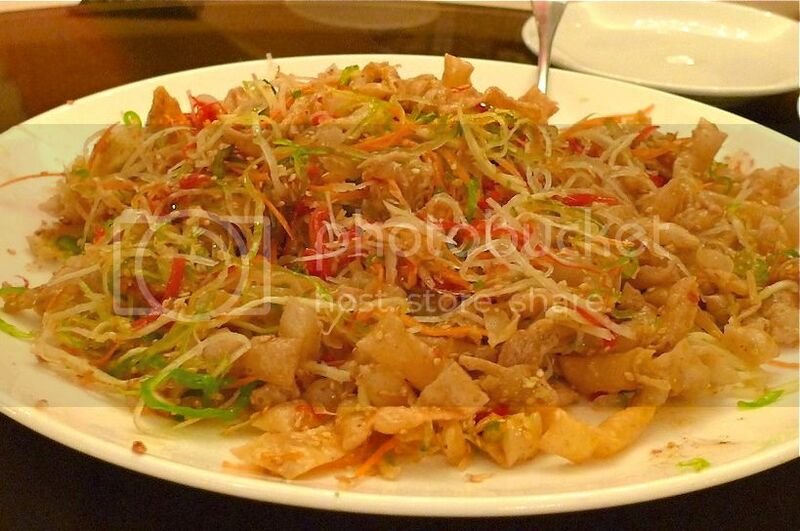 They were of course meant for the yee sang! I really could not believe it! I asked the waiter how were we supposed to eat the salmon without the yee sang? His reply was that they did not have the sauce ready. I could not comprehend what freaking sauce he meant. 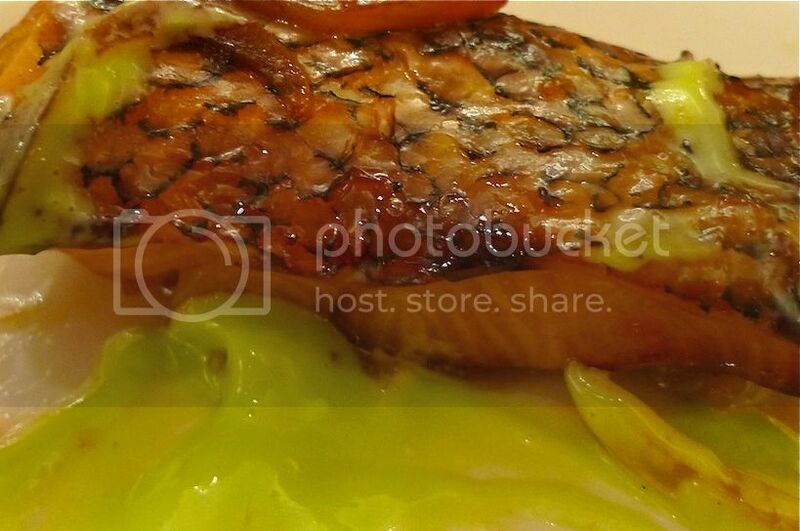 I guess it was the lime juice for the salmon? But really, what kind of a bloody crap is this?! I may have made a blunder by forgetting the salmon, but the least they could have done was to stop us from eating the yee sang if they knew the salmon was not ready! Another point is, we booked for the dinner to start at 7pm. If you can't find the "sauce" for the salmon by 7.30pm, that's just plain stupid! Next, we had the Braised Assorted Seafood with Sweet Corn. 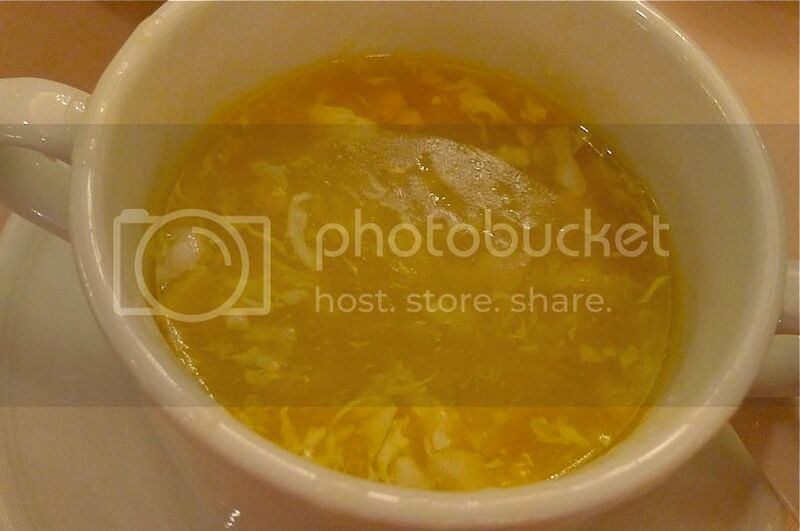 If you think they came out with a big bowl of soup with a ladle for us to fill our cups, then you are sadly mistaken. The waiter brought out a cup for each of us and let me tell you, the cup was not even more than half filled! If you are thinking of second helpings, you can just forget it! And by the way, my mom told me she could make a much nicer and delicious corn soup at home! After the soup, we had to wait for some time before they come out with the next dish. I wondered why we had to wait that long. Luckily, we were not really that hungry or else I think we would have gone berserk! They however, made up the long wait by coming out with the next 4 dishes all at one go. The Baked Cod Fish with Honey Glaze was good! The fish was good by itself, but dipping it into the green sauce (a mixture of wasabi and mayonnaise?) was yummy! I thought they had redeemed themselves, but I was wrong. 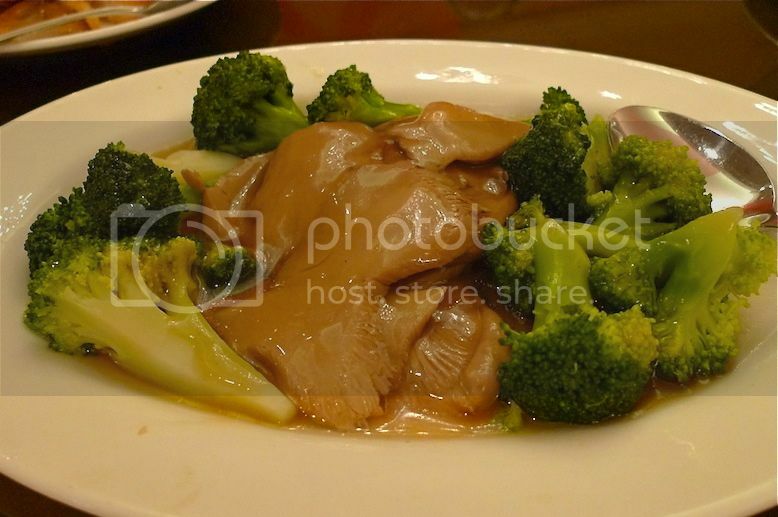 The Braised Seasonal Vegetables with Dried Shrimps and Bai Ling Mushroom was pretty average. I just felt the portion was a little too small for all six of us. If you look at the picture above, you can see that each of us could only eat perhaps 2 pieces of broccolis and 2 slices of the Bai Ling mushrooms. This is almost like fine dining if you ask me! 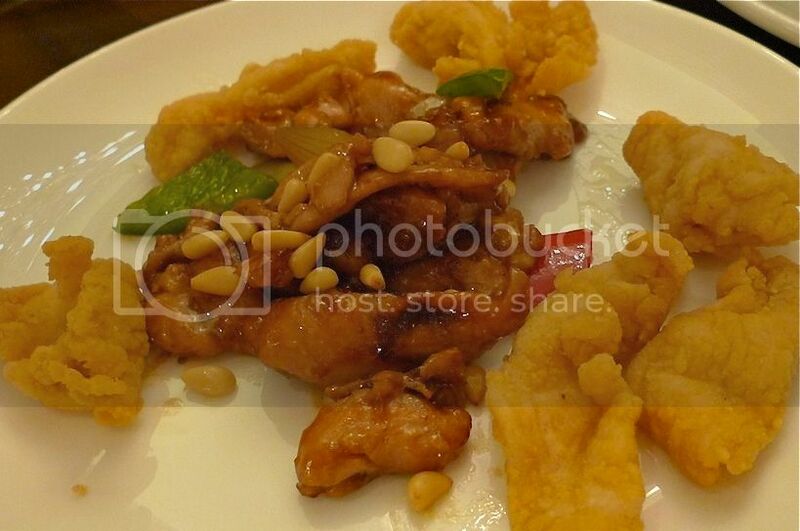 This plate of Roasted Chicken and Stir-Fried Chicken in Kam Heong Style looked awesomely horrible in presentation. I know I should not be complaining about presentation at such a price, but it didn't look appetizing at all! I did not like this dish. Maybe the roasted chicken and the pine nuts were supposed to give it a unique taste, but I found it rather bland. Besides, just look at the tiny portion size! Are we doing fine dining here or what?! 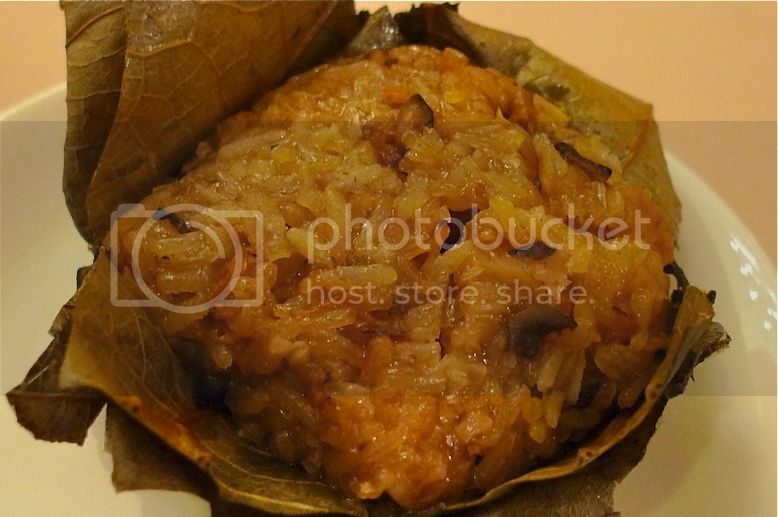 The Fried Rice with Dried Scallop and Yam Wrapped in Lotus Leaf was quite good however. I enjoyed eating it. Now if only every dish was as nice as this one! What happened next was .... nothing. Yes, absolutely nothing. We waited, and waited, and waited. Gone to the toilet and back and still nothing. We only have 2 dishes left from the 8-course menu, but they appeared to be NOT forthcoming. I could see that an old man sitting opposite our table was getting angry. Like us, he and his family were also waiting forever for the desserts. 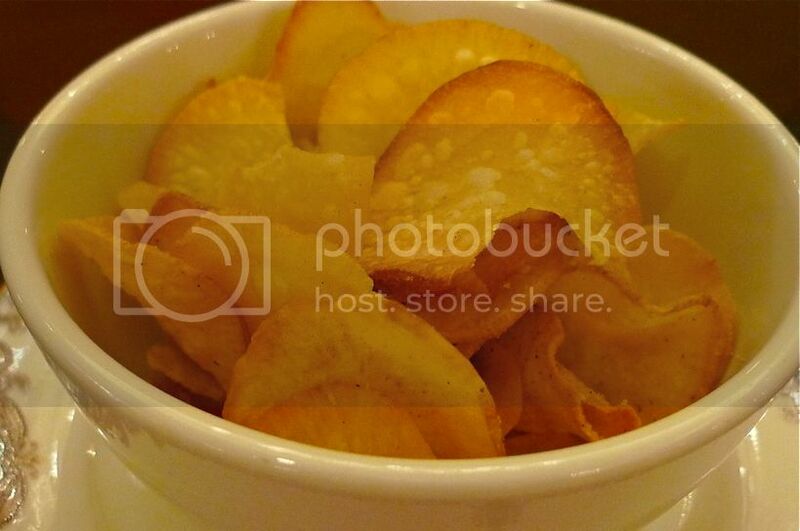 Then the waiter came and gave us a bowl of chips. What the heck?! I was pretty sure it was meant to stop us from getting angry while we waited it out. After the whole bowl of chips was finished, we were given another bowl. No kidding. I think we waited more than half an hour for the freaking desserts! What the hell were they doing in the kitchen? What kind of service was this?! No chips, no matter how good, was going to make up for wasting my precious time! Finally, it came. The last 2 dishes were Deep-Fried Nian Gao with Yam and Sweetened Red Bean Cream with Lotus Seed. I did not take picture of the red bean soup because there was really no need to - it was pretty average. And the bowl was barely half full. 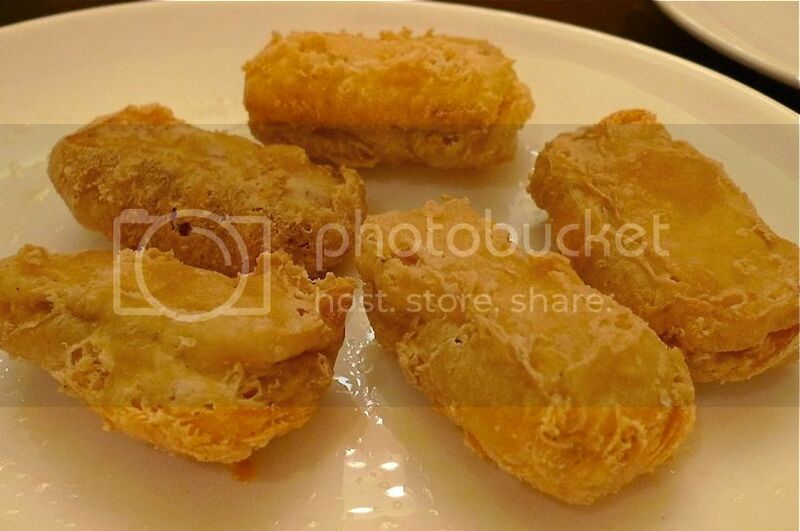 But I was stunned to see that we were given only 5 pieces of fried nian gao for the 6 of us. Do they have a problem with simple mathematics? After we pointed this out to the waiter, who was obviously unaware of it (or could not count - take your pick! ), we were given the correct number of nian gao. 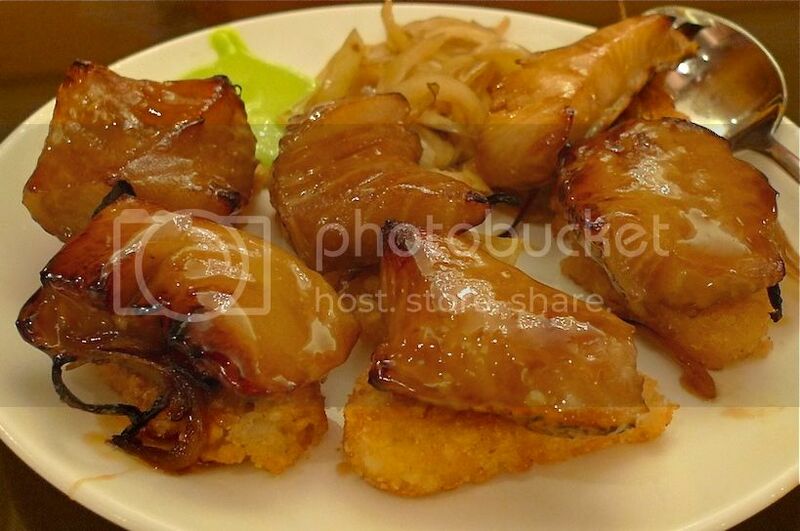 The nian gao was actually not bad, but by then, I had already lost my mood for eating. What a horrible, horrible Chinese New Year dinner at Ritz-Carlton! Even though we paid only RM58 nett per person for this 8-course dinner, the portion size was too small! It's absolutely NOT good value for your money. In fact, I felt as if I have been cheated! To make it worse, it was managed very badly with completely no sense of timing. Making people wait for their food is one of the worst things you can do for your business. And making people wait half an hour for their desserts is simply unacceptable! I wish I can ask for my money back cos that's what I feel like doing. If Ritz-Carlton is ever going to organize a similar Chinese New Year Feast next year, you can be sure I won't be going!